More than 150 initiatives and high level institutional events took place during the year at European, national, regional and local levels. 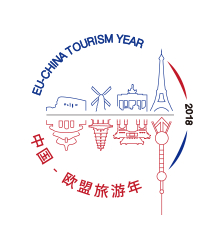 These initiatives are listed on a dedicated website (Read more: 2018 EU-China Tourism Year – Xi’an – press package) They include multilevel marketing campaigns, business to business matchmaking, summits and conferences, the first EU-China Travel Fair on Cultural Tourism and one of a kind events such as the EU-China Light Bridge which illuminated landmarks across China and the EU. These events reached thousands of audiences, mobilised hundreds of tourism stakeholders and boosted cooperation between businesses. During 2018, more Europeans and more Chinese became aware of the richness and diversity of each other’s culture, nature and exceptional tourism destinations.